Before starting your production you need to have some knowledge about music production and many questions may strike in your mind while making a music. All music production software have one thing in common: they can help you achieve outstanding results in your production. However, an unbiased up to date guide to select the best ones among the variety in the market is important. Therefore we went the extra mile to personally try all these music production software and sum up the key points to guide your decision making. Editing functions: cut, copy, paste, paste mix, paste to new file, trim/crop, delete, undo. Processing options: mute, channel convert (stereo->mono, mono->stereo), insert silence, change volume, normalize level, fade in/out, invert/flip, undo. Import, save and edit loop points & markers information in wav files. Snap to zero-crossing. Batch processing: apply process/effect/VST effects to an entire folder. Loads wav, mp3, aif, aiff, ogg vorbis, raw binary, au/snd, ADPCM Dialogic vox, Akai S1000 sample, Amiga 8svx & 16svx, wavpack. Wavosaur provides a solid VST effect plugin support. Volume enveloppe automation: multi point envelope editing. 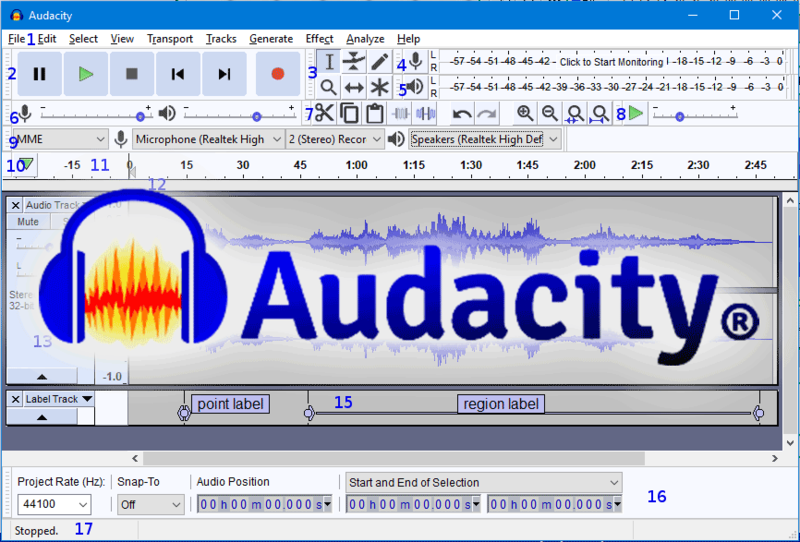 Visually edit audio file with all the familiar commands. Record sound from any sources with high quality. Apply 25+ built-in audio effects. 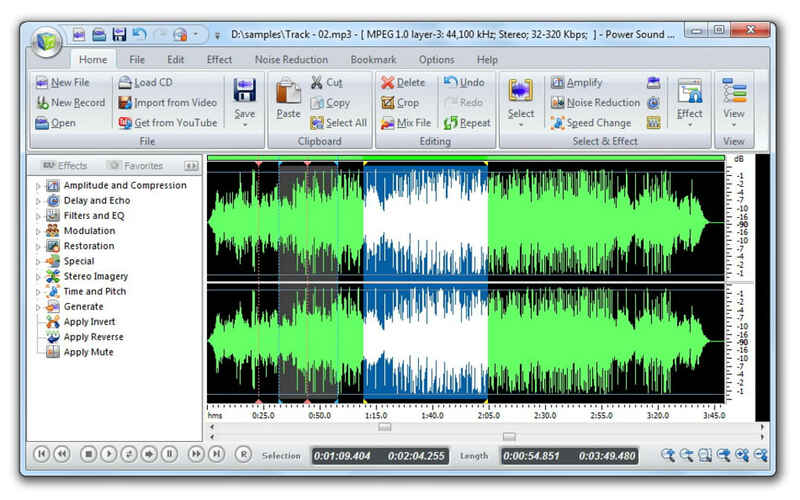 Extract and edit audio from video or YouTube files. For 2018, Avid has added features to Pro Tools that make it easier to use than ever. If you use fades frequently in your projects, you’ll love the ability to adjust fades and crossfades quickly using the Smart Tool. You can even commit the same fade shape to many clips in a batch instead of working on fades individually. Pro Tools now lets you work on tracks with musicians and producers in any location using the new Avid Cloud collaboration feature. Upload your work and give access to your collaborators. When they modify the project, you’ll see the changes on your computer automatically. Pro Tools is massive, and because of it, there is a bit of a learning curve. I remember when I first tried to use it, it took me an hour just to learn how to record myself saying “Hello World!” in the microphone (after a few hours of setup). It is the framework for creating great projects, however a lot of the work is actually left up to you. This is why some people spend thousands of dollars on pro tools classes. You don’t have to learn Pro Tools to become a professional, but if you want the best sound quality, you definitely want to learn Pro Tools. On top of this, if you need any sort of top-flight recording in real-time, then Pro Tools is your only choice. Even if you end up buying another DAW – you really should consider purchasing Pro Tools as well. This is because many studios use it and it is a good idea have it around for compatibility reasons. The new subscription model of Pro Tools 12 makes it pretty reasonably affordable. Pro Tools is the king of compatibility when it comes to computers. Pro Tools is both compatible with Mac and with PC. This means that when you are sending files, or working with other producers, you are able to share a lot easier. However even though the program itself is compatible with both computer types, that means there is a lot of variation when it comes plugins (64 vs 32 bit matters). There was a time when Pro Tools was slacking in this category, and other DAW’s were able to catch up. However that time is over and Pro Tools has great MIDI integration. Pro tools has been in the running for the worst virtual instruments for quite some time though, so if the best virtual instruments is what you are looking for, I would look elsewhere on this list. Cubase 8.5 is the second music production package on our list that has added online collaboration. Steinberg calls this feature VST Transit. Uploading tracks to Steinberg’s cloud services as you work on them enables you to collaborate on projects in real time. Cubase 8.5 includes 750 MB of cloud storage space and allows you to transfer up to 1.5 GB of data each month. For more storage space and traffic, you’ll need to upgrade your account. Cubase 8.5 also includes an upgraded version of the Retrologue virtual synthesizer. Retrologue 2 comes with 400 presets that you can tweak to your heart’s content with the new arpeggiator, oscillator and other new effects. To a lot of music producers Cubase just “feels” better. When it comes to workflow, and not feeling “Menu-y” cubase really is a top notch choice. It also is good in terms of your budget (however with Pro Tools new subscription model it really is hard to NOT sign up). If freedom with plugins is extremely important to you, then Cubase might be the choice for you. You are not dependent upon the plugin developers. The consensus seems to be that if you have a focus on MIDI, and are a one man shop, then Cubase seems the way to go – especially for the musician/artist/songwriter. Three things that make Cubase a great option is their Parts and Lanes, a “real” sample editor (including offline processing), and very powerful monitoring and metering options. You can use it on both a Windows computer and a Mac. Just like the rest of the DAW’s on this list, Cubase is fully compatible with a vast variety of MIDI controllers. For a good list of MIDI controllers that are compatible/ work well with Cubase, check out this link. Like most instruments/hardware, this typically depends on your taste. The EDM community can be very MAC heavy, and for that reason there are a lot of Logic users out there, but if you are looking for something that can do it all for you, and are looking for an alternative to Logic, then you need to check out Cubase. The biggest addition in Logic Pro 10.2 is the Alchemy Synthesizer. Apple purchased Camel Audio — the maker of Alchemy — in 2015, making Alchemy now a Final Cut Pro-exclusive plugin. Alchemy is a digital synthesizer that comes with a library of more than 3,000 samples that you can locate easily using the built-in search engine. Alchemy also comes with an analog synthesizer component — and it works with third-party samples. This DAW is definitely for the music producer/engineer that is looking for a lot of help with actually creating the music. Out of the box it comes with some of the best virtual instruments and it can save you a lot of money when it comes to plugins that are included in the suite. Logic Pro requires a Mac computer, and you can find it right in the iTunes store. If you’re a Window’s user this pretty much cancels out your option of getting this DAW that once started out as an electric piano plugin. But also, if you are a Windows user, you may still just want to get a MAC and install Logic Pro Anyway. Despite it’s limitation to using a MAC computer, you will find that it highly compatible with a lot of other audio engineering software programs that can be found on this “Best of” list. Here’s an example: Are you on the road and using Garage Band to record some tunes? A lot of popular musicians actually do this, and you can open your GarageBand files directly in Logic Pro. You can also export music notation to MusicXML and there is ReWire support for Propellerhead Reason, Ableton Live, and other popular DAW’s. Logic will work with any FireWire or USB interface. Logic Pro works with many of the most popular MIDI keyboard controllers and surfaces out there (like M-audio which many people think is just for Pro Tools). Additional plugins are available from third party manufacturers. Logic is probably second to Pro Tools in popularity, but there still a very enormous population of producers out there using the software and you can usually find anything you are looking for in terms of tutorials or support within a few Google searches. Reaper 5.28 greatly enhances the MIDI functionality of this already formidable budget DAW. Reaper can now quantize your live performances to MIDI more accurately according to note subdivisions that you select. Reaper 5.28 also improves the process of editing MIDI by making it easier to copy and paste specific passages. The MIDI interface has also been updated to make selecting specific MIDI events easier. Are you looking for a DAW that is reliable enough to use without crashing for months? One that you also don’t need to buy a new computer with (a huge hidden cost in actually buying DAW software). If so, then the “grind it out” REAPER software by Cockos is a great option for you. The best part about REAPER is the price. You could literally buy it, install it on your computer, and if you don’t like, well you only lost around $60 if you qualify for getting it at the discount price. Another great thing about the program being so cheap is that you can use that money to spend on third party plugins (they do have free plugins as well). You can use Reaper on a Windows 32-bit, a Windows 64-bit, an OS X 32-bit, and an OS X 64 bit. As far as we can tell, REAPER integrates just fine with MIDI if you use the plugin ReaControlMidi. There may have been updates since this article has been written and you may want to do a little bit more research to truly figure out what type of team a MIDI and REPEAR makes. If you like using Ableton Live to enhance your live performances or at-home experimentation, you’re going to love the new Link feature. Link removes the latency that inevitably results when you attempt to use multiple devices simultaneously over a wireless network. Connect multiple smartphones, tablets and synth pads using Link, and you’ll never have to worry about network latency causing your performances to fall out of sync. The software is called Ableton Live for a reason – it is regarded by many as the best DAW on the market to use for live recording. The software can be really fun because you are making a song with parts – just like you are when you are performing. The software was created in 1999, it is extremely simple to set up, and it comes equipped with a lot of built in sound packages. One more reason to consider this DAW is that Ableton Live won’t cause as many problems when you are mapping sounds through the DAW. Ableton Live 9 is compatible with Windows 10, however Ableton Live 8 may have issues as it is a legacy version. Ableton Live will also work on a Mac. Ableton Live has partnered up with some great brands to create gear just for them specifically. This has allowed for some awesome MIDI’s to hit the market and makes for seamless integrations. FL Studio 12 has a greatly enhanced interface to make complex production tasks easier than ever. If you’re using a touch screen display, you’ll love the fact that FL Studio now accepts multiple simultaneous inputs. Control the mixer directly with your touch screen notebook or tablet. The FL Studio interface now scales itself automatically to fit on any screen size — from a single notebook to a high-end desktop with several displays. You can detach any element of the interface and move it anywhere you like for a smoother workflow. FL Studio is great for beginners as it is quite easy to learn compared to other DAW’s that have been mentioned on this list. And something that is also great for beginners is the pricing and the fact that you get free upgrades to new editions. There are many VSTS and effects that can be used with FL studio, but that can also be said for the other DAW’s on this list. It is a great idea to start of with FL studio, but after a few years you will probably find yourself wanting more out of your DAW. The Mac version is beta, so it’s probably a better idea to go with a different DAW if you are not using Windows – unless you feel like you would like to give the beta a shot that is of course. FL studio supports many MIDI devices, and you can get a lot more information from their MIDI forum section that specifically tackles these types of topics. ACID Pro has expanded its feature set over the years, growing from a loop-based synthesizer into a full DAW. At the core, though, ACID Pro maintains the simplicity that has made it so popular for so many years. ACID Pro makes working with samples incredibly easy by allowing you to import samples from any source and work with multiple file types within the same project. ACID Pro allows for virtually endless possibilities in manipulating samples. You can adjust the pitch or tempo without losing the sample’s original sound quality. When you add a new sample, ACID Pro automatically analyzes it and matches it to the groove of your existing track. The primary drawback of ACID Pro is the fact that it’s becoming a bit long in the tooth. ACID Pro 7 was originally released in 2009, and little has changed since then except the price. While the price of ACID Pro 7 at the time of its original release was $315, the price is now just $149.95. In spite of its age, ACID Pro remains a feature-rich DAW. The built-in mixer supports surround channels and submixes. 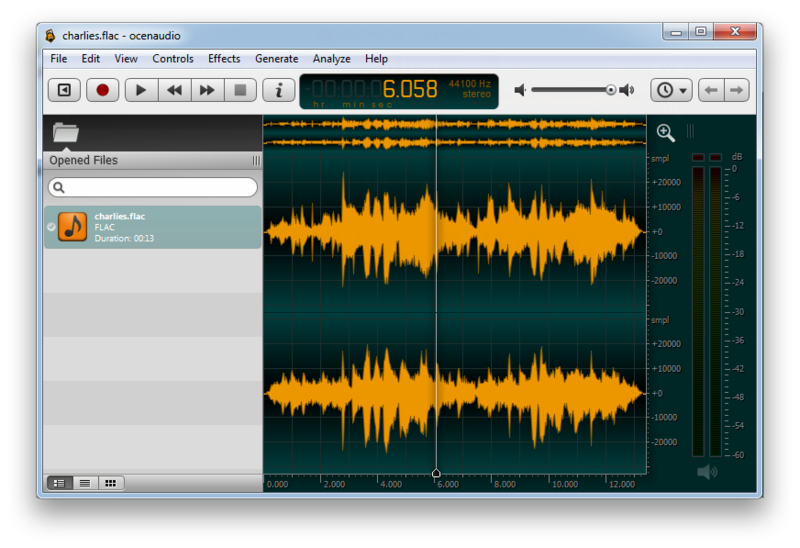 It even allows you to mix sounds from outside sources and apply effects to them in real time. ACID Pro has full support for MIDI and hardware control panels — and the sample editing features are still tops in the industry. Cakewalk SONAR is the latest iteration in a DAW that began life as an MS-DOS MIDI sequencer nearly 30 years ago. Cakewalk SONAR is famous for its beautiful interface that resembles a bank of analog devices while retaining the clean look that you expect from high-end recording software. With a 64-bit mixing engine — and support for unlimited digital and MIDI tracks — Cakewalk SONAR scales effortlessly to meet the needs of any project. Cakewalk SONAR has some of the highest sound quality available in any DAW today. In addition to the 64-bit mixing engine, Cakewalk SONAR features improved sound quality for plugins and imported audio. SONAR automatically increases the sample rate when you use a plugin or import a new sound to prevent sound quality loss when you mix down the finished track. Some have criticized Cakewalk SONAR’s lack of advanced music notation features. In addition, you may not find SONAR’s interface as easy to use on computers with smaller displays. Cakewalk SONAR features support for touch screen devices. It also comes with an impressive array of effects and virtual instruments. Using the included plugins, you can do anything from emulating a tube amplifier to correcting a vocalist’s pitch in real time.